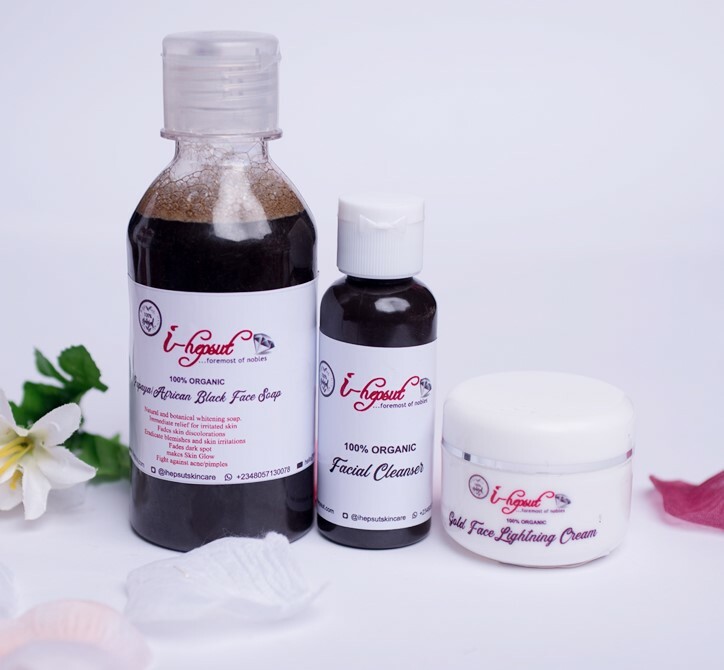 You can never go wrong with our 100 % Organic facial kit. A complete kit that comes with a cleanser, soap and cream that helps with sun protection and facial healing. It acts as a detoxifying agent for your skin and gives it the much-needed rejuvenation. Step 1: Clean your face with a cleanser using cotton wool to clean it properly. Step 2: Wash your face with your facial soap. Step 3: Apply the cream in dots all over the face. Gently massage in an upward direction. For best results, use two times daily. 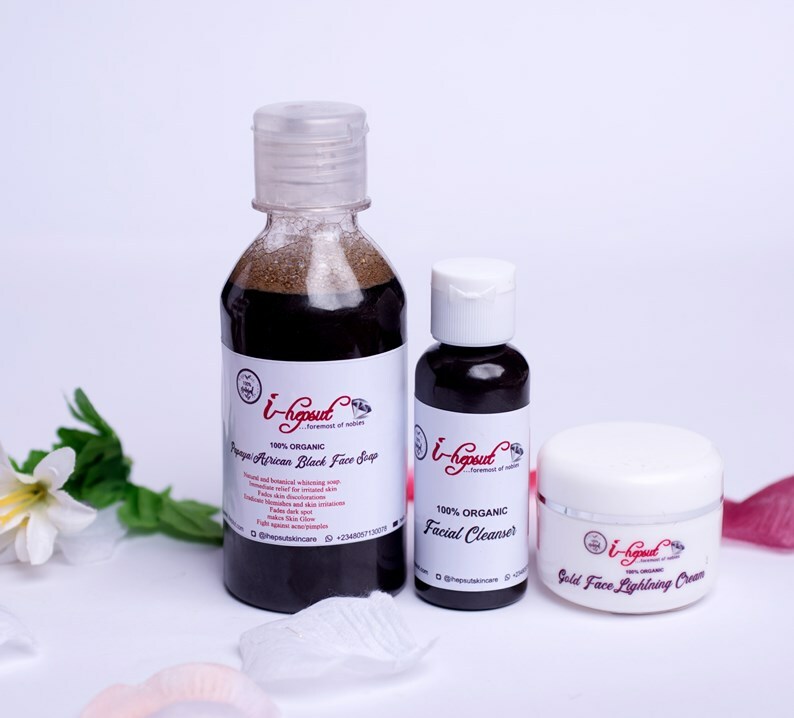 I-hepsut 100% Facial kit is a natural facial kit fused with properties of gold and other powerful herbal extracts for optimum results. 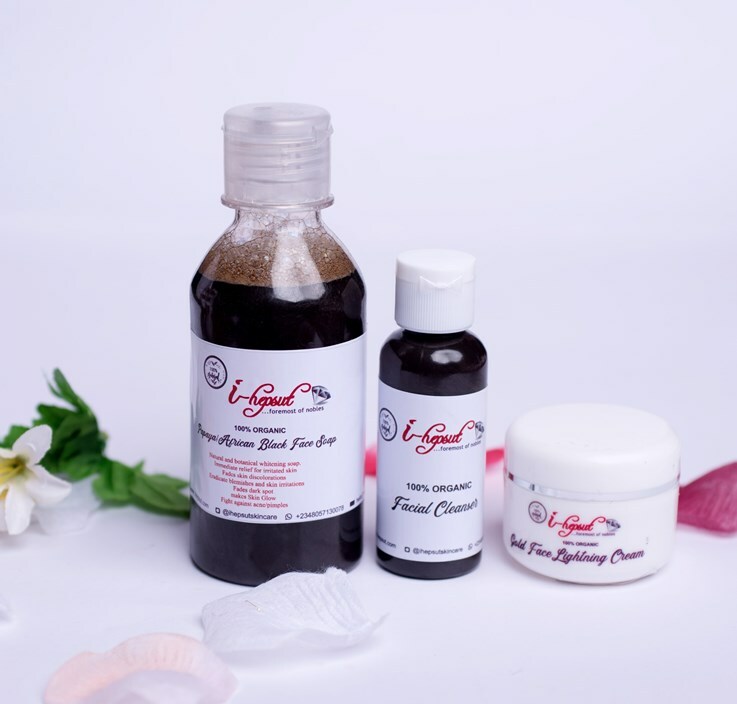 This kit will help you to effectively fight wrinkles, reduce your dark circles and make your skin look more youthful and resilient. It will improve your skin texture, elasticity and gradually restore the moisture balance of your skin. The infusion of Sandal Wood is an antibiotic element that keeps your skin free from harmful virus and bacteria. It helps to reduce scars, pimples and softens it by moisturising. It is being used for centuries in Ayurveda for skin repair. It also has a skin cooling property. It is also a powerful herb for skin care, endowed with antiseptic and purifying qualities which help to prevent skin diseases and repair damaged tissues internally and accelerate cell regeneration. It eliminates harmful free radicals from your body, thereby delaying the ageing process and keeps your skin younger and promoting uniform skin tone while you sleep.